Elizabeth worked all around world in hospital dietetics but became disillusioned in the early 80s “by power games being put ahead of patient care”. She did women’s studies at university, linking her interests in feminism and Quakers – “the first wave of feminists in US were Quakers”. Gratitude is not something we commonly associate with the politically passionate. Yet it’s my main emotion after talking to some of the older Greens living in Dunedin. They talk of gratitude for what they’ve received – and I feel grateful that their values and work have made all our lives richer. 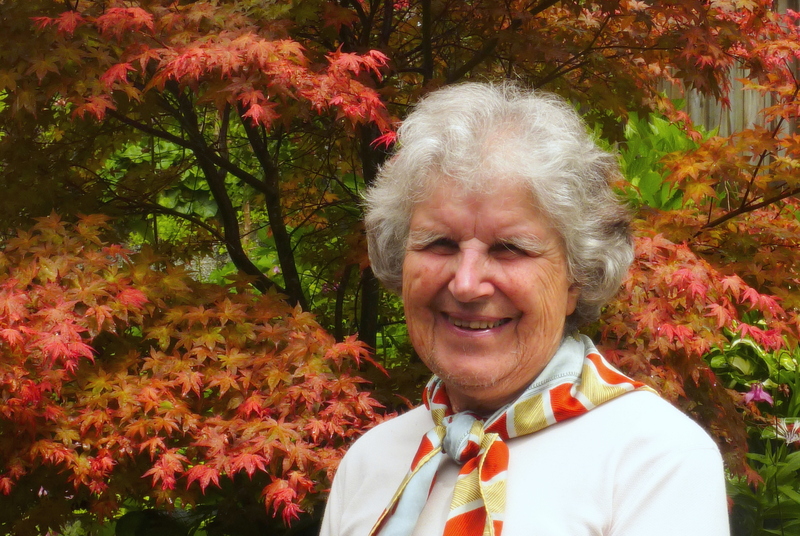 Elizabeth Duke , like Pat, grew up in England during the post-war years and also benefited from free education, including a scholarship to Oxford. 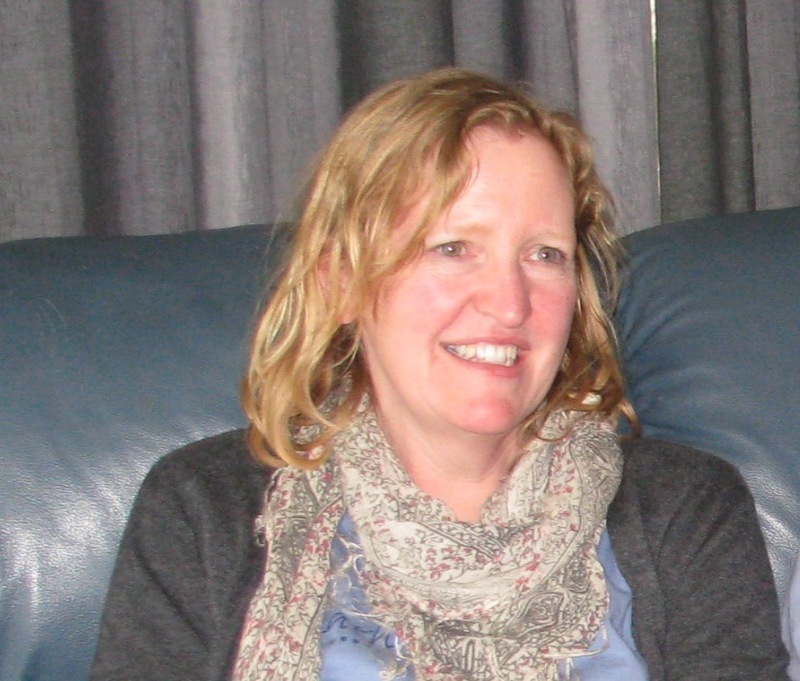 In 1976 she came to Otago University to lecture in Classics. Her parents only gave her two bits of advice: “Don’t go caving, and don’t join a political party”! The political advice, she thinks, was about not compromising her values. 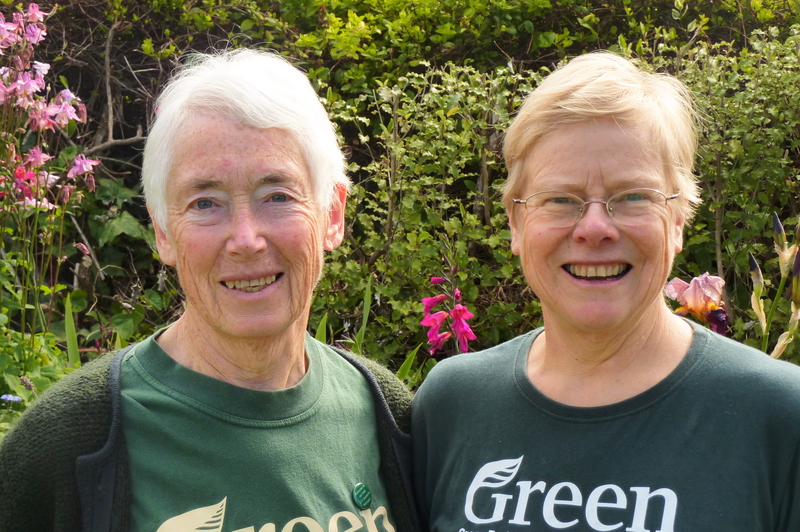 It took her a long time to join any party because of those values, but “what got me committed to the Greens was the balance between care for the planet and the social justice”. She cites Sue Bradford as someone who shows how extremely important it is that both aspects are addressed in politics. Her university career gave way to more direct involvement with social issues. 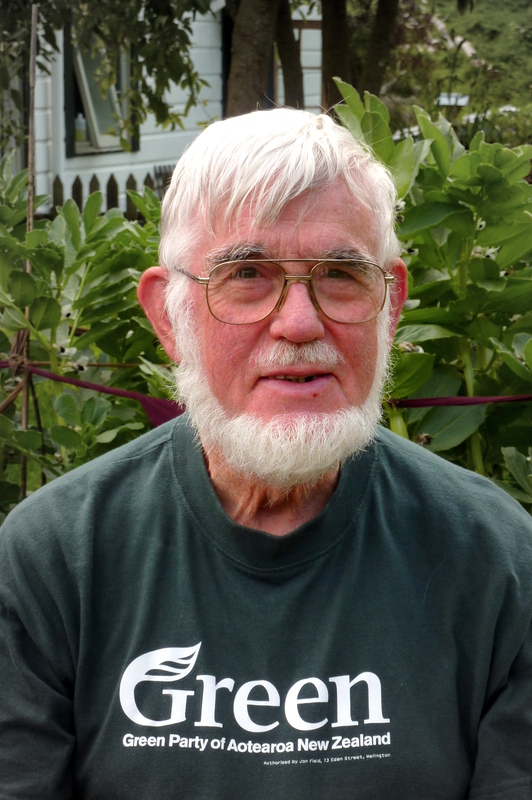 “I started getting involved with the Quakers, who became my extended family as I was a sole parent with two primary school daughters.” This led to further theological, and Maori, studies. “Race relations here were one reason why I wanted to come here”. Finding that all was not as good as she had believed, Maori studies therefore “became a matter of justice for me’ – and she followed study with action by becoming an urban marae secretary. Elizabeth knows that “The economy is a wholly owned subsidiary of the environment” (Gaylord Nelson, US politician and Earth Day founder). For her, “the whole values of care and respect and valuing others seem to me to be indivisible. Humans can’t have a healthy life unless they are living in a healthy environment. My primary concern is for human equality. Having come to New Zealand because it valued a much greater sense of social equality, I am now horrified by how unequal we’re becoming, as is seen in our levels of child poverty. Pat Scott grew up in the High Peak district of Derbyshire, England, during and after the war. “We didn’t have a car so walked everywhere. 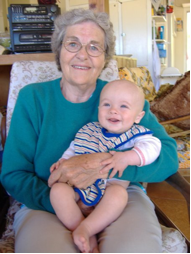 Being outside in a beautiful environment was the key to my growing up and mapped the direction of my life, along with a very good biology teacher.” She was the first of her family to go to university, thanks to the 1944 Education Act reforms. When asked what the Greens have brought to Parliament, Pat replied, “I think the Green Party does more than bring social and environmental policy to Parliament, it brings respect. Green MPs don’t shout out rude things, and respect the parliamentary process. Bomber Bradbury, who many of you will be familiar with as the Left’s strident voice of the people on the War on News, has been banned from RNZ for criticising John Key. The news came out on MediaWatch on Radio New Zealand (26.30 mins in to the show). The announcement came from RNZ CEO Peter Cavanagh, who did not elaborate other than to say that Bomber had breached RNZ’s requirements for “fairness and balance”. This is a disgrace – this is an attack on free speech. The link has been taken off the RNZ website so you cannot even listen to it now. I listened to it and it is just what Bomber said on his tv program. Nothing exciting. The reaction is shocking. The more I read about this the more shocked I am. The families of the trapped miners were shown footage that was edited to show the initial explosion lasting for 32 seconds instead of the reality, which was was 52 seconds. This is beginning to look like the whole thing was being media managed from very near the start of the disaster. It would explain why there was a delay in showing the families the footage of the explosion. Richard Valli (brother of Keith Valli who died in the mine) said that he found the Pike River memorial service “hurtful” because of the focus placed on the politicians and dignitaries, instead of the Pike families. You may remember that the memorial service was originally planned to be held in Christchurch, presumably because the politicians would find that more convenient than Greymouth. Pike River: Image of Body Taken Before 2nd Explosion is Suppressed – who by and for what reason? Something has been bothering me; when I read Kevin Hague’s blog post about how an image of a body and the open self-rescuer taken before the second explosion was suppressed I thought that there would be an uproar when the press and the public found out that the authorities knew that some of the 29 miners had survived the initial explosion and had attempted to get at the self-rescuers and that one of the miners lay injured or dying in view of the camera, and that this information had been kept from the families and the public. But no. No reaction. No outrage. Nothing. So I have put together a very brief and highly incomplete timeline of the events – to have it clear in my mind as much as anything – so please read the following with that caveat in mind. 8.04pm: Energy Minister Gerry Brownlee said he intends to travel to the West Coast tonight with Kate Wilkinson, the Minister of Labour and Conservation. He said the Prime Minister is being kept informed about events as they unfold. 20th Nov: Rescuers do not go into mine due to bad weather and uncertainty about the state of the atmosphere. Rescuers are having trouble determining how dangerous the gas in the Piker River Coal mine is. 21st Nov: Toxic gas levels detected, and fluctuating, preventing rescue. Family members allowed to see mine and express growing frustration. Rescue team start to drill air sample hole into mine. 22nd Nov: Names of the 29 miners are released. In the afternoon the police admit for the first time that there may be fatalities but remain optimistic. Tests show heating underground and it is deemed too dangerous to mount rescue. 23rd Nov: Army robot sent into mine but fails after 2 hours. Toxic gases still detected preventing rescuers entering mine. Pike River Coal chairman John Dow dismisses reports they were using risky mining techniques. Police say that the outlook is starting to look bleak. 24th Nov : Picture showing body and open box was recorded and suppressed – before the second explosion. This picture only came to light by unoffical means. The question here is who saw that image and why was it suppressed. 2:37 PM 24th Nov: The second explosion. This corresponded roughly with the time that all the authorities started assuring the public that everybody had died in the first explosion. Who knew this was not true? December: Mr White (Pike River general manager) indicated that … he was instructed to refer to a ‘stabilisation’ operation at the mine and not to use the word ‘recovery’. Talking about recovery of the human remains was “politically unacceptable” he had been told. It would raise expectations and cost too much. He had budgeted that recovery could occur with a budget of $10 million. He had been given a budget of $5 million. 7. Hon DAMIEN O’CONNOR (Labour) to the Prime Minister: Can he assure the families of those killed in the Pike River mine disaster that Government funding will be available for the recovery of bodies, given the mine is now in the receivers’ hands? Hon BILL ENGLISH (Deputy Prime Minister) on behalf of the Prime Minister: As the Government has said many times, the key issue in deciding whether the recovery of the bodies could take place is the safety and stability of the mine. Money has not been an issue. What is going on here? Who is telling the truth? I would like to know. Okay – I couldn’t help that title – my fiancee suggested it as a laugh. A 13 yr old school boy looked at trees and wondered if the pattern they formed from the Fibonacci sequence was an accident or whether it was a pattern that maximised the amount of sunlight that fell on the leaves. The Fibonacci tree design performed better than the flat-panel model. The tree design made 20% more electricity and collected 2 1/2 more hours of sunlight during the day. But the most interesting results were in December, when the Sun was at its lowest point in the sky. The tree design made 50% more electricity, and the collection time of sunlight was up to 50% longer! Pretty impressive! I think that young Aidan has a big future ahead of him.